Fondly nicknamed the ‘mini-Nürburgring’. 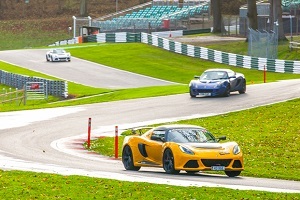 Cadwell Park’s twisty and undulating nature, winding through open park and woodland, has marked it out as one of the best circuits in the country. Once discovered, it is often a firm favourite amongst those who visit. The perfect Lotus circuit? The day will run in open pit lane format. Limited to a max of 30 cars on the whole day! Worried about the weather? If the day gets cancelled we’ll give a full refund, Feb tends to be colder and dryer than early spring. Price: £89 first 20 places..